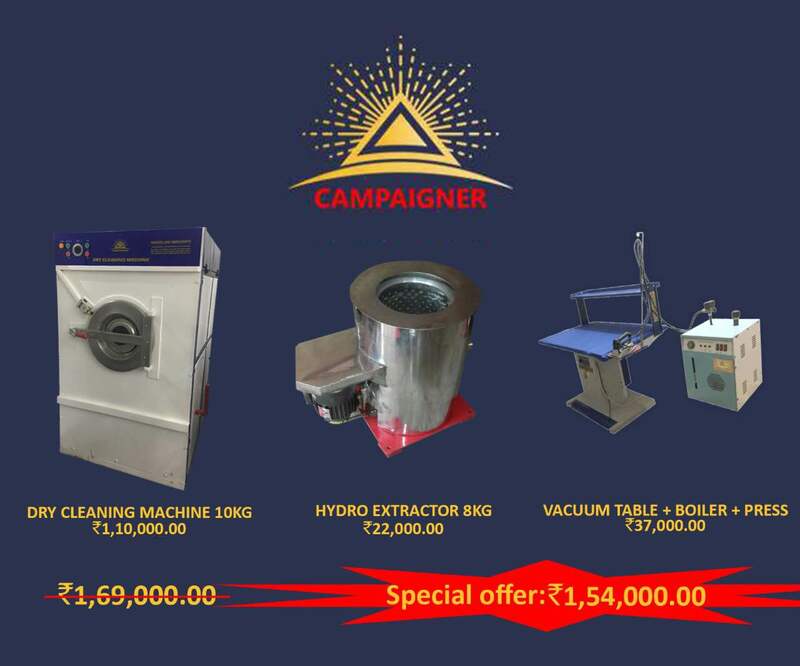 ⁠⁠Dry Cleaning Package.Dry Cleaning Machine 10Kg + Hydro Extractor 8 kg + Steam Table with 18ltr. Boiler and Press. Available at special price ₹ 1, 54, 000/-. All over India. Maintanance Free Equipments. No Heater, Slow RPM. Easy to maintain.